I am excited to annouce I have been invited to join the talented design team over at Suzy Blossoms. Please stop by and see the wonderful creations the DT has for your inspiration. Another great reason to visit is Suzy will be giving away a FREE image every Sunday. Join us for the challenge and a chance to win some awesome images from our sponsor Lacy Sunshine. This is my first card for the DT. The challenge is anything goes. 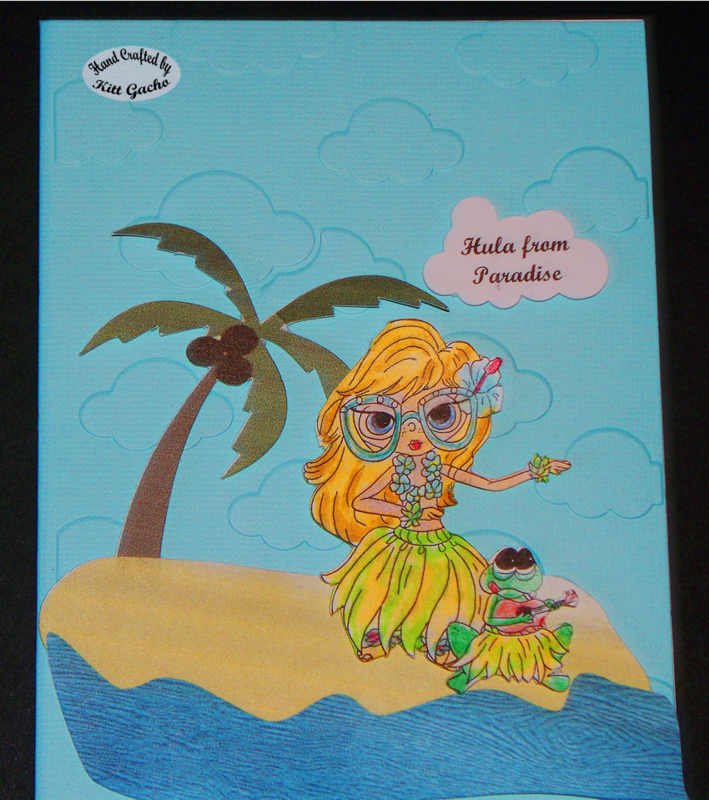 With a play on words Hula for Hello, I used my Silhouette Cameo to print and cut the sentiment and images. I also used the Clouds embossing folder for the base card and used Spectrum Noir markers and color pencils (not spectrum pencils) to color the image. 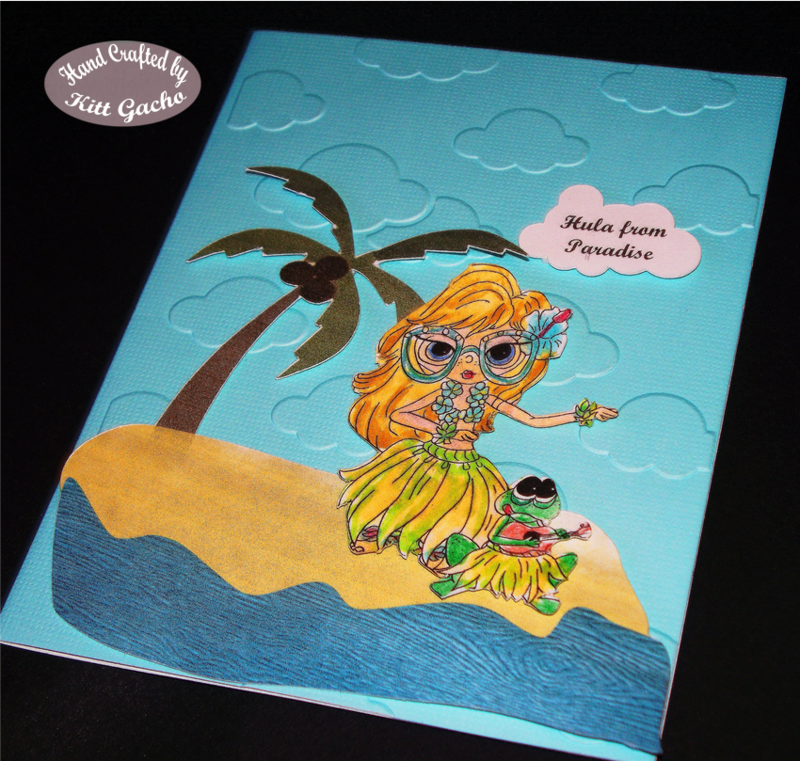 I put pop dots under the palm tree leaves, hula image and white cloud to give it some depth. Thanks for stopping by today and leaving your comments. I love hearing from you. Have a happy crafty day. My Best Friend a County song. Fllying by to say Hi.